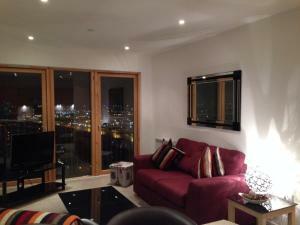 It was in an excellent location close to the city centre and public transport. Apartment was very clean, with everything we needed and amazing views across the city. It was ideal that there was secure parking at the apartments. Very comfortable bed, great view of the city. Excellent central location. 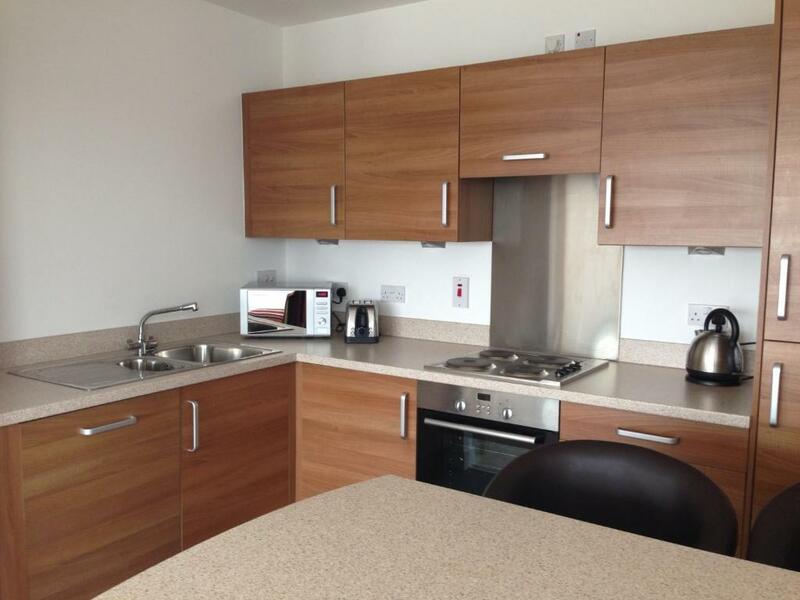 Central location with a private, and secure, car parking space. Checking in went smoothly with the check-in agent meeting us at our requested time. 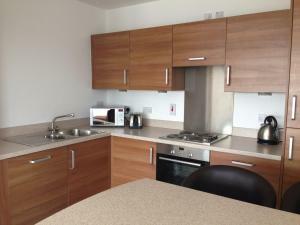 Lovely apartment in a great edge of town location so easy access to city centre. Well equipped kitchen and great to have 2 bathrooms. Check-in agent was lovely and very helpful. Very quiet block - no noise heard from neighbouring apartments. I liked the apartment, location and everything was easy and simple. the view from the appartment was fantsatic. but overall the property could do with a bit of maintanance. mike on the other hand was very nice to deal with. Great location for getting to with off street, secure and free parking and just a short walk along the road to the SSE Hyrdo. Views from the 16th floor were great. Clean, bright and comfortable. And very quiet - not a sound from outside or in the building itself. 5 minutes walk from Glasgow Central train station and right next to Anderston station - ideal for anyone going to the Exhibition Centre for concerts, as we did. Lock in a great price for Suite 16 Glasgow - rated 8.6 by recent guests. 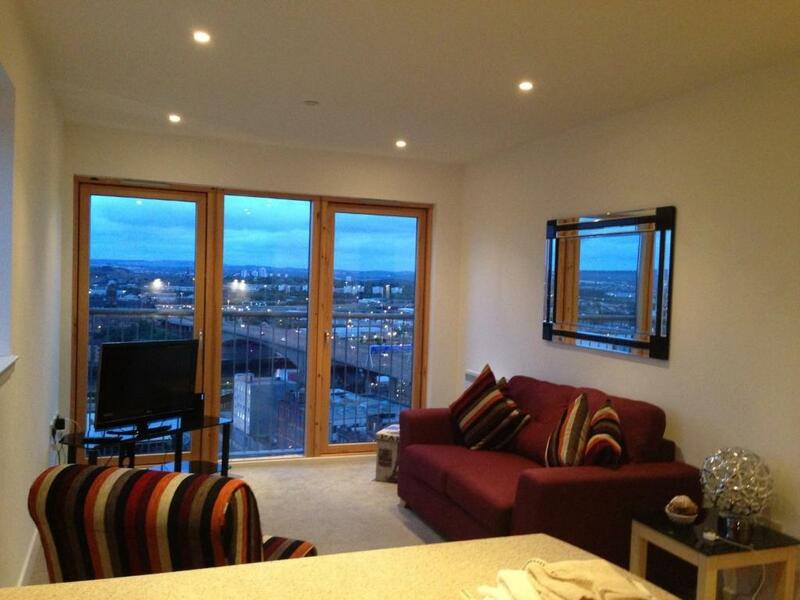 A luxurious two-bed upper floor apartment in Glasgow's city centre, Suite 16 comes with parking, stunning 270-degree views over the city and Wi-Fi is free throughout. 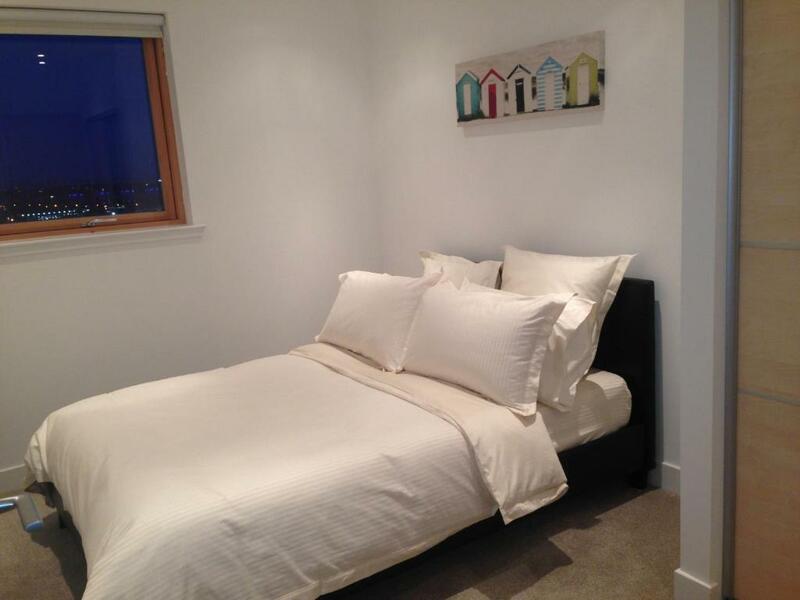 The bedrooms each have a double bed and there is an en suite bathroom in the master bedroom. 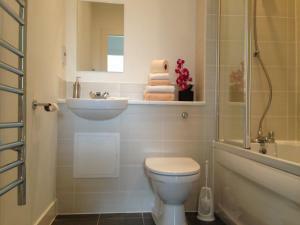 There is an additional bathroom and toiletries and a hairdryer are provided. 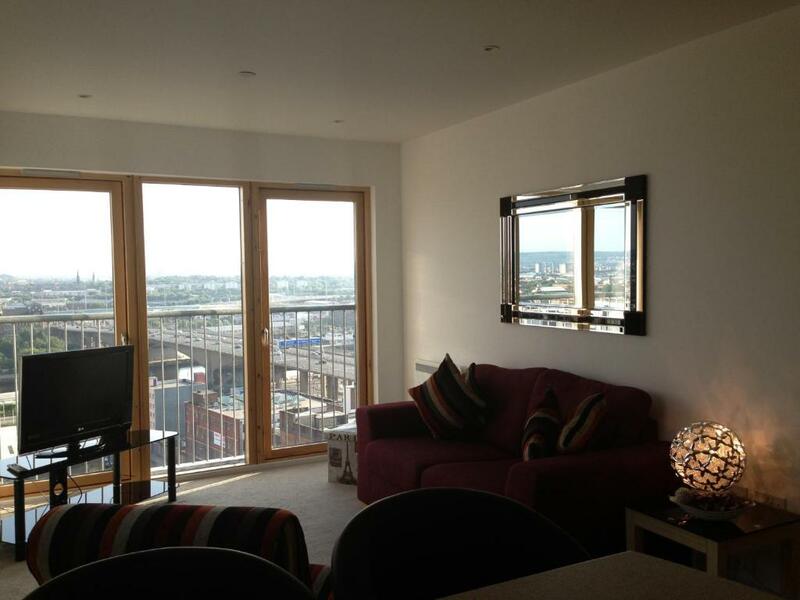 The living room/kitchen area is spacious and the apartment is carpeted throughout. The kitchen has a washing machine, a dishwasher, a refrigerator and an oven. The shopping area, including Argyle Street, Buchanan Street and Sauchiehall Street is about 10 minutes’ walk from Suite 16 Glasgow. Anderston Rail Station is a 3-minute walk away. 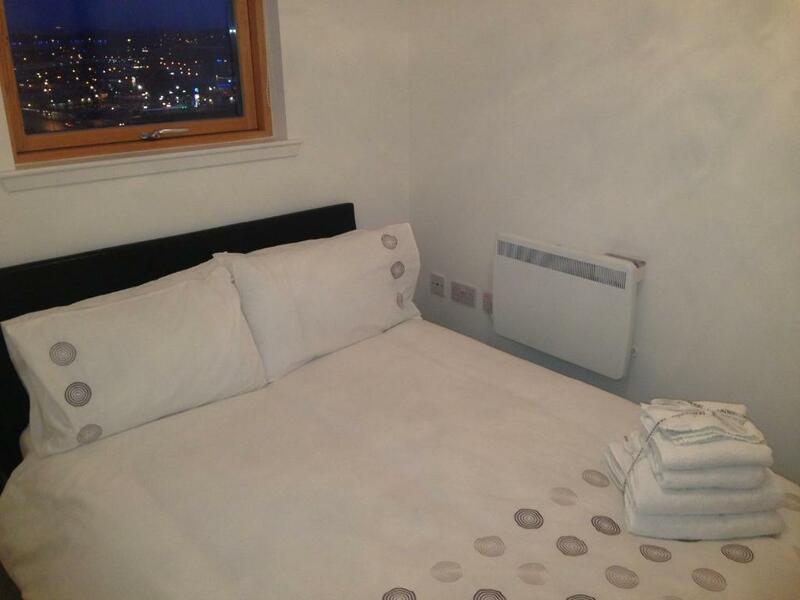 Suite 16 Glasgow has been welcoming Booking.com guests since 6 Mar 2013. 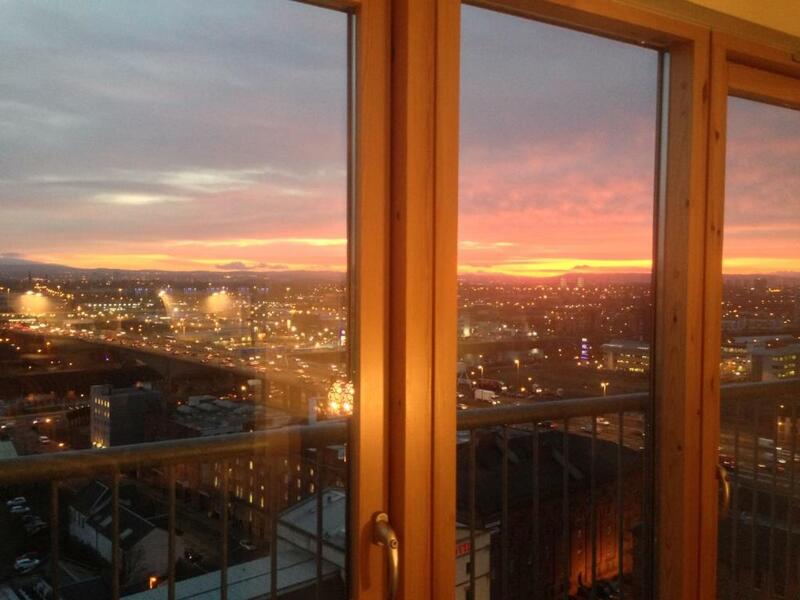 When would you like to stay at Suite 16 Glasgow? In the heart of Glasgow, this apartment comes with underground parking space, a lift, 2 bedrooms, an en suite bathroom and additional bathroom. It features a fully equipped luxurious kitchen with breakfast bar and a washing/dryer and a glass-walled lounge with panoramic views from the 16th floor, a TV and CD player. Linen and towels are provided. Stunning views over Glasgow and further afield. Views from 16th floor. Two bedrooms and two bathrooms. Living space and kitchen. All towels and kitchen utensils provided. Washing machine and dryer. Ironing board and internet access free of charge. Central location and local supermarket nearby. One stop by train from SECC and Hydro. Right next to train station and not far from motorway so convenient for all travel inc. bus routes. House rules Suite 16 Glasgow takes special requests - add in the next step! All further children or adults are charged GBP 15 per night for extra beds. Suite 16 Glasgow accepts these cards and reserves the right to temporarily hold an amount prior to arrival. Please note that the property doesn't have a reception and offer a "meet and greet" service. Please note the lead guest must be 25 years and older. Please note that apartments must not be used for holding parties. Please inform Suite 16 Glasgow in advance of your expected arrival time. You can use the Special Requests box when booking, or contact the property directly with the contact details provided in your confirmation. Ensuite shower head was broken and a fix was a hair tie. Had to use the main bathroom which wasn't great for four people having to check out at 10am. Having stayed in the apartment four years ago our expectations were set high. Unfortunately since then it feels they've spent little to maintain the high standard. POOR CUSTOMER SERVICE. The en-suite shower slider bracket was broken in two ways. The height adjustment / bar grip didn't work and the shower head orientation was also broken. The 'fix' was a hair band that only helped with the height. The shower head faced down and towards the wall. Water pressure meant the head just fell off the bracket. We reported this to the check in agent and were assured the message would be passed onto the relevant people, we never heard back from the company. To me this shows how little they think of their customers. Decor is getting a bit tired. The taps in the main bathroom are labelled incorrectly (hot is cold and vice versa). No bath mats for coming out of the shower. The lamp in the lounge didn't work. Previous reviews (early to mid October) show some of the above faults are not new, so they're obviously not keen to spend money to fix items. Decor is getting a bit tired. Odd assortment of cutlery and crockery. Interesting looking lamp in lounge but it didn't work. TV didn't work on first night but check-in agent fixed it the next day :) No blind or curtains in lounge and when sun very strong it is blinding. Beds are of poor quality and not very comfy. Bedside lamps only in 1 bedroom. Main bathroom bath taps are the wrong way round (hot tap is cold) but there is no mention of this so one of our group had a cold shower until we were told after informing check-in agent (it just needs a little sign). Fan in main bathroom very noisy and needs cleaning - fan in en-suite does not work. Bath towels are just too small, no bath mats for coming out of the shower. Shower head in en-suite bathroom faulty and would not stay put. Standard lamp in Lounge not working so had to use main lights for duration of our stay. No mirror in 2nd bedroom to allow for Hairdryer etc whilst getting ready, and mirror in 1st bedroom too high up and really only a wall feature rather than a functioning mirror. No shower mats in either bathroom so had to use hand towel as a stand in. No night vent on bedroom windows to allow for Ventilation during the night. Parking space was a welcomed bonus. A full length mirror would have been greatly appreciated. Broken slats on bed which we let property manager know about. Easy walk to city and onsite parking was a bonus. Water was running in the other toilet when we arriwed and at the second morning same problem with the other toilet so we could not use them. After few hours we got a call that plumber is coming. We have already left for shopping so we had to hurry back. Plumber was nice and gave us a lesson how to fix the problem if water starts run again. With this price, 750 € for four nights you should not have to do plumbing yourself. And if you choose this place, dont forget the shampoo, you find only handsoap there. Location was good and the wiev great. THE ON SUITE TOILET DID NOT FLUSH. THERE IS A GOOD BIT OF WERE AND TARE. THE HOT WATER WICH WAS VERY HOT CAME OUT OF THE COLD TAP WHEN RUNNING A BATH.